MCLEAN, Va. --- Mars Incorporated, parent company of the popular chocolate candy brand M&M's, has launched a new carob version of the treat. Carob M&M's will at first be product tested in areas of high Seventh-day Adventist population density. "We will quickly know whether or not Carob M&M's will be a hit after initial testing in majority Seventh-day Adventist towns," said M&M's Innovations spokesperson, Dahts Grosseman. He added that the Carob M&M's will at first be sold in Adventist Book Centers and supermarkets. "Adventists have historically had a lot of time for carob treats so they clearly have priorities that top taste," said Grosseman. 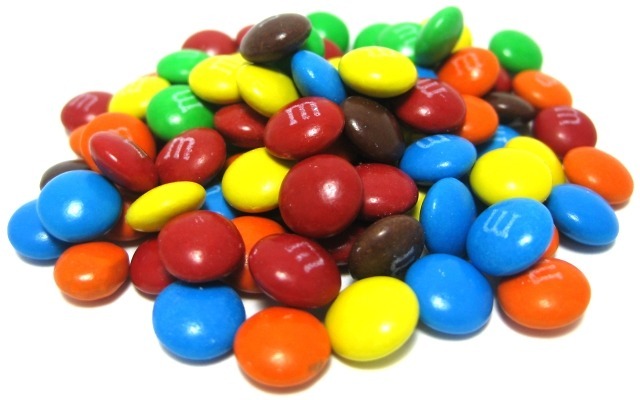 He added that, just as a precaution, Carob M&M's would contain "28% more sugar than your garden variety M&M's to make sure they don't taste like topsoil." Carob candies taste horrible. Like eating chalk. Now if they would fix up some minty Life Savors, I’ll go along with that. When I sing, “Throw out the Lifeline” I’ll gently toss a Life Savor mint.. New evangelism tool!! Woe iz me!